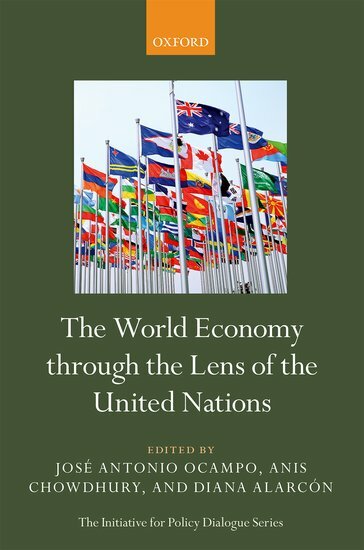 This edited volume documents the intellectual influence of the United Nations Department of Economic and Social Affairs (UN-DESA) through its flagship publication, the World Economic and Social Survey (WESS) on its 70th Anniversary. First published in 1948, as World Economic Report, WESS is the oldest continuous post-World War II publication recording and analysing the performance of the global economy and social development trends. It offers relevant policy recommendations and highlights how well the United Nation's (UN) annual report has tracked global economic and social conditions, and how its analyses influenced and were influenced by the prevailing development discourse during the past seven decades. It also critically reflects on its policy recommendations and their influence on actual policy-making and the shaping of the world economy. The World Economy through the Lens of the United Nations reflects on this report, amongst others, to provide valuable insights on global economic challenges and their differential impacts on different groups of countries requiring global policy coordination as well as context specific policy responses. It demonstrates that UN reports have often been ahead of the curve and played a critical role in policy debate, especially in the area of international policy coordination and coherence for balanced global development, and offers rich and path-breaking analyses of contemporary problems of growth, development, trade and stabilization.